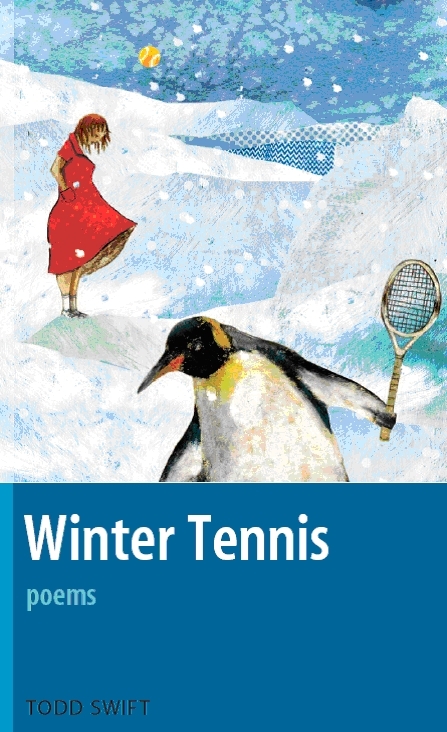 The Internet doesn't really work for selling poetry, or does it? Or is it just me? Eyewear has hundreds of followers, loyal readers, and other lurkers - and has served a community with diligence for more than half a decade. 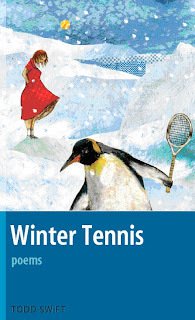 So - what happened when, almost a week ago, I asked for one person - anyone, anywhere, in wintertime - to buy the lone copy of Winter Tennis, at Amazon.com - so that this year my sales statement would read 1, not nil? Well, what happened, is, nada. No one decided to put Eyewear out of its misery, and buy the damn copy. No units moved. No sale. Sucka. This really peeves me. The Internet is a place for giving and taking, freely - for grazing animals. When it comes to putting money where one's mouth is, forgetaboutit. I want to see this book sold by Valentine's Day, or Eyewear gets it. Some titles are killers - that one would put me off! Ooh, them's fightin' words. I already have a copy or I'd do it. Don't leave us, Todd. Sheenagh - are you seriously insulting the title of my book? I'm currently having a hell of a job trying to decide what the title of my next should be, and I haven't even got it much more than half done... I'm going to have a poll on my blog by and by and see how folk react. sold! to the posh person at the back. freezing cold backhand smash down the line at 00:01 on Tuesday 15th.